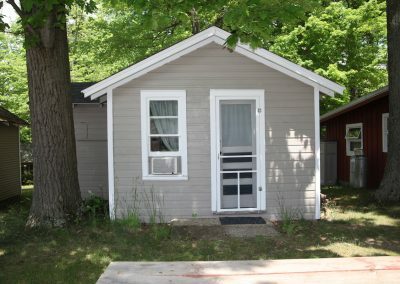 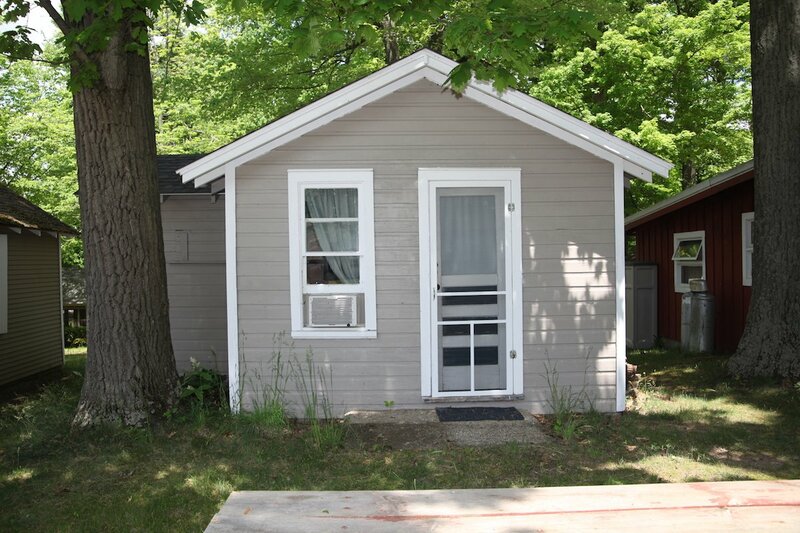 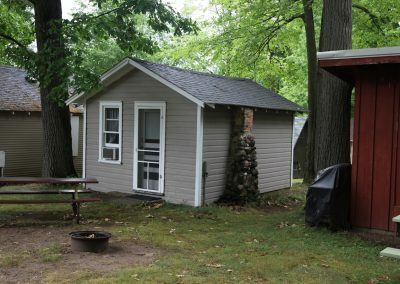 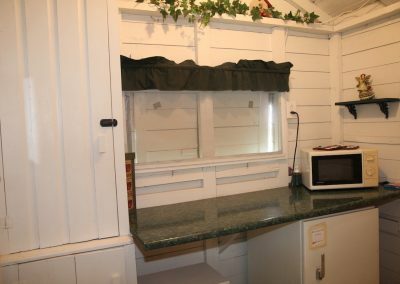 Acorn Cabin is a studio with a double bed and bunk bed, sleeps 4. 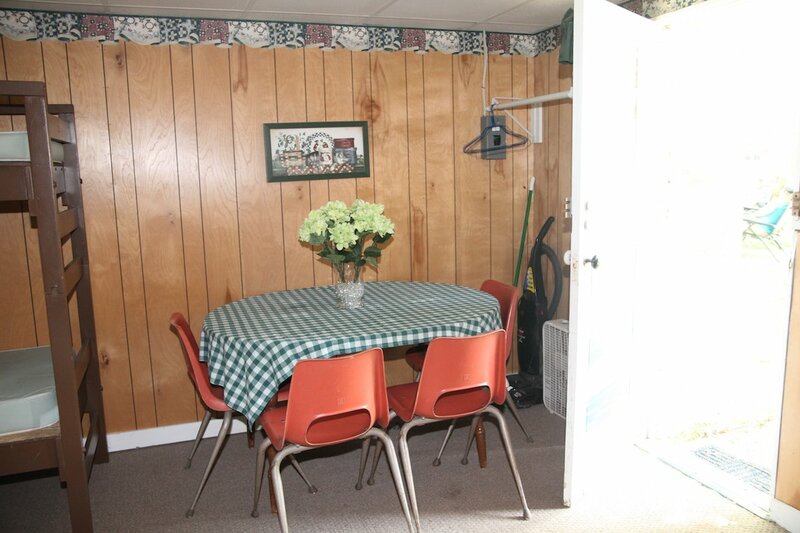 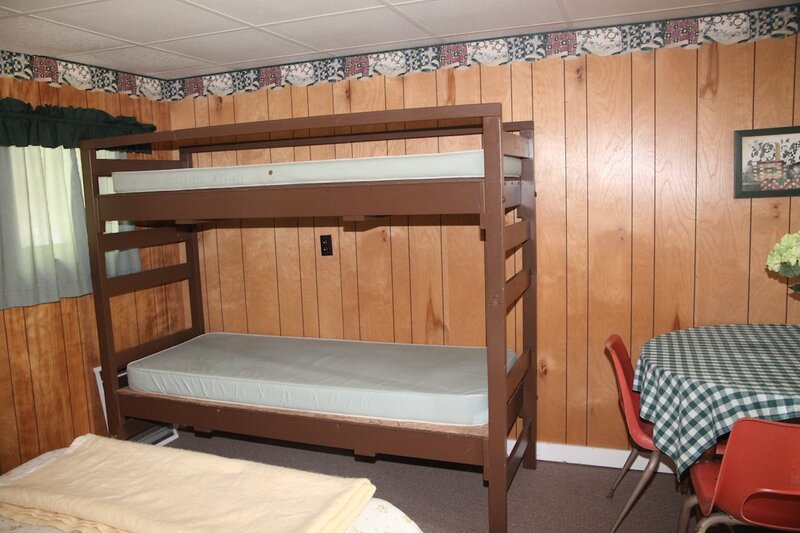 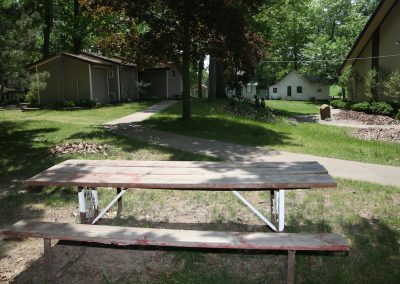 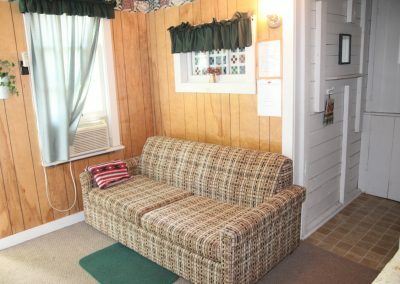 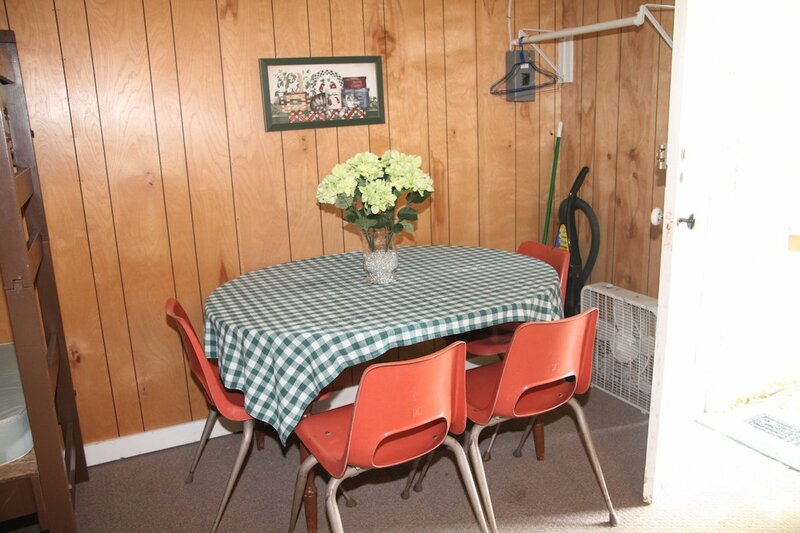 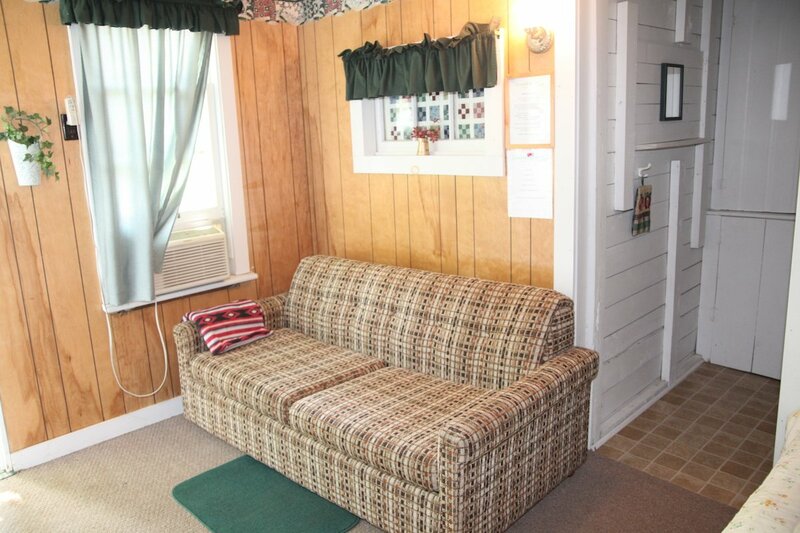 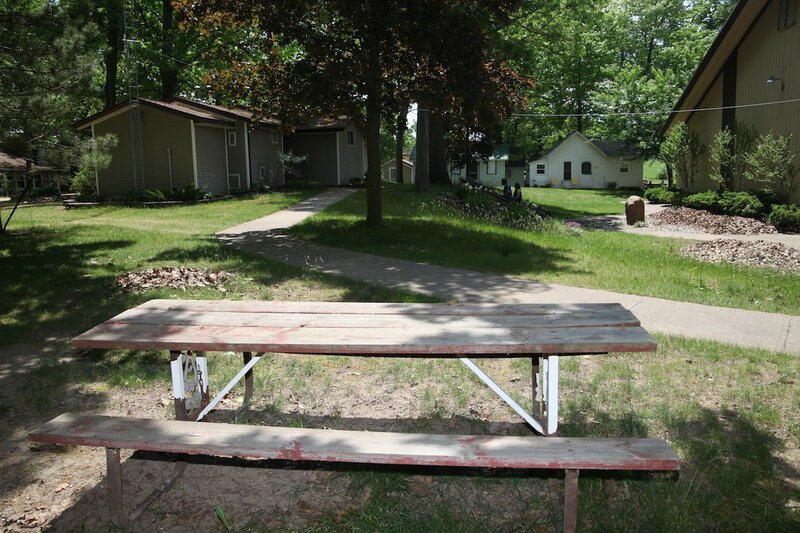 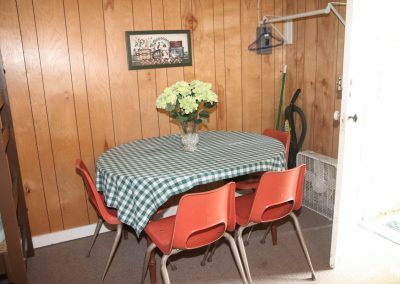 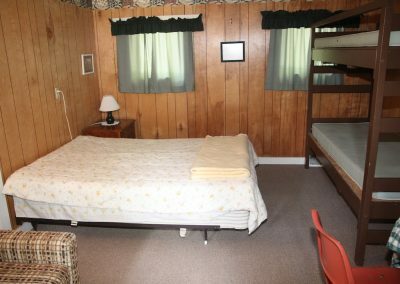 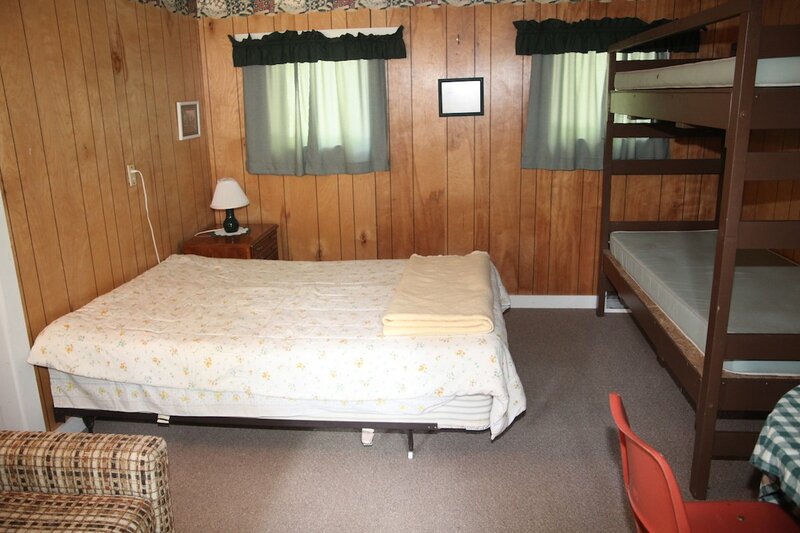 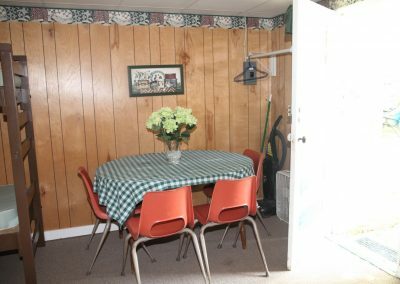 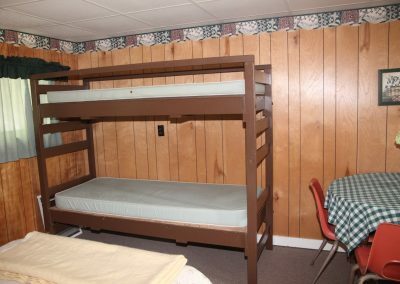 The room includes a couch, table and chairs, and a window A/C unit. 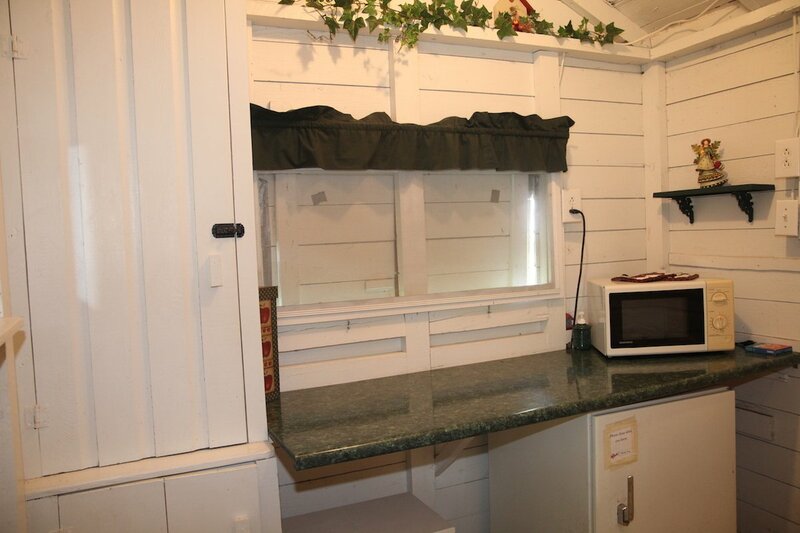 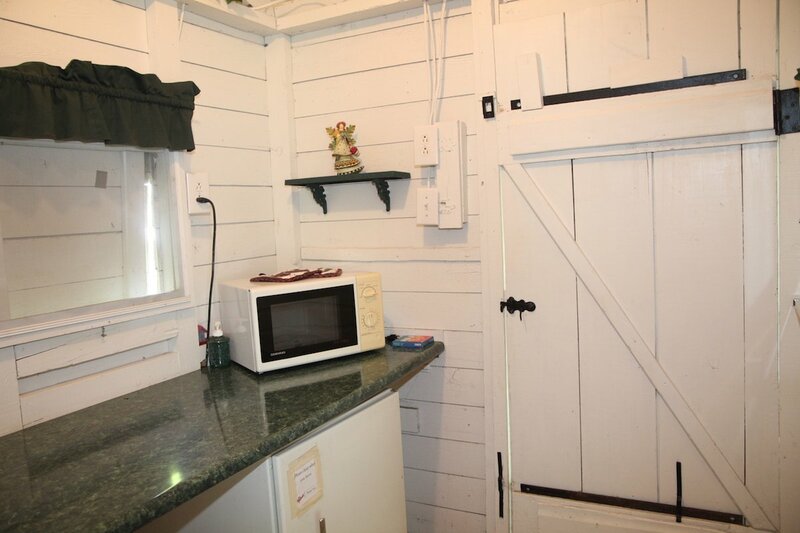 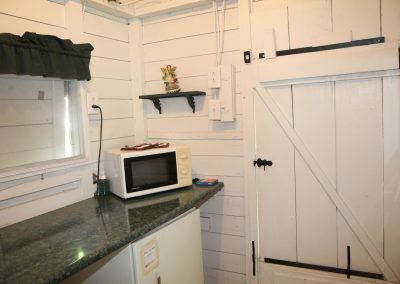 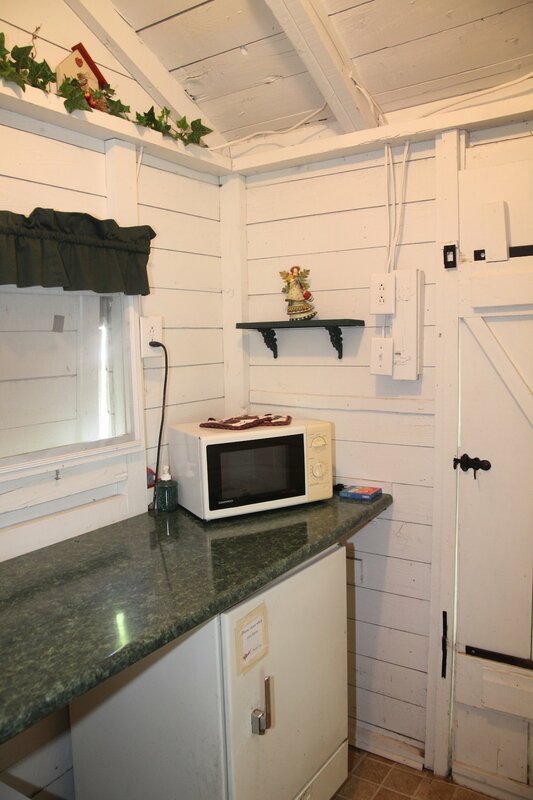 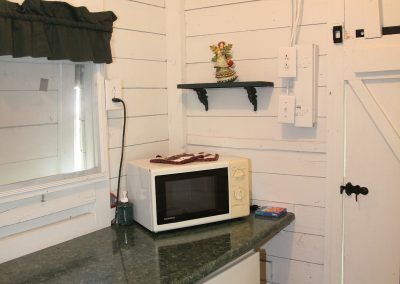 The kitchen includes a mini-fridge and microwave. It has a fire pit outside and is very close to Bath 2.